With the rising demand for nursing professionals across the world, more career-conscious aspirants are opting to go for this lucrative profession. They tend to look up for leading coaching institutes around, which could provide them a road map and answer to the queries and concerns to their satisfaction. One needs to know how to go about it before taking the quantum leap. Mantram Nursing Academy in Chandigarh provides effective Nursing Coaching Classes for Post-Basic Entrance Exam. All leading universities and medical institutes across the country conduct exam for entrance to post basic nursing in the months of June and July, tentatively every year, as per the prescribed norms by the Indian Nursing Council. Results of the nursing entrance exams conducted by them are declared within a month or so. Some of the top-rung universities and institutes conducting exams for entrance to post basic nursing include PGIMER, AIIMS, JIPMER, BHU, IGMC (Shimla), GMCH-32 (Chandigarh), Baba Farid University of Medical Sciences, Punjab, Himachal Pradesh University and Pt B.D. Sharma Universities, et al. The candidate targeting Post-Basic Nursing Entrance Exam must have passed 10-plus-two exam or any equivalent thereto. He/she must have passed general nursing and midwifery with a minimum of 50% marks in aggregate. Registered nurse/midwife qualified from a recognized institute registered with the respective State Nursing Council duly approved by Indian Nursing Council (INC) is eligible for the exam. Generally, the syllabus given below for Post-Basic Nursing Entrance is similar in all the universities and institutes. Merit list of candidates is prepared on the basis of marks obtained in the entrance examination. Merit list is prepared for each category of candidates viz. 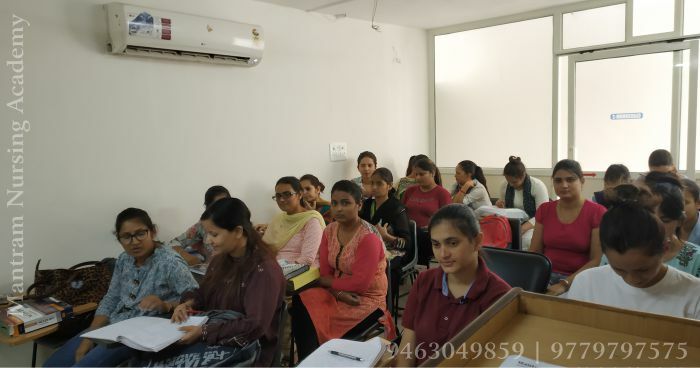 Once you take the final call on going for Expert Coaching for Post-Basic Nursing entrance in Chandigarh, your quest ends with Mantram Nursing Academy, a one-stop coaching destination, engaged, heart and soul, in providing specialized coaching under the watch of a highly competent faculty with years’ of rich experience to credit. Mantram, besides offering a perfect study environment and high-end infrastructure, has designed a specialized teaching methodology and modules that gives an edge to it over others in the field. WHY CHOOSE MANTRAM STUDY GROUP IN CHANDIGARH? Mantram Nursing Academy located in heart of the city is offering an Expert Coaching for Entrance to Post-Basic Nursing in PGIMER, AIIMS, JIPMER, BHU, IGMC (Shimla), GMCH-32 (Chandigarh), Baba Farid University of Medical Sciences, Punjab, Himachal Pradesh University and Pt B.D. Sharma Universities, et al. The expert coaching is imparted under the watchful eyes of an expert faculty with years’ of experience in the respective fields. The star academy is committed to the highest pursuits of academic excellence and holistic growth of the career-seekers in the field nursing. The academy has emerged as the perfect career-launchers in this part of the country. MANTRAM: ONE-STOP COACHING INSTITUTE FOR POST-BASIC NURSING ENTRANCE! Mantram is a trusted name in imparting coaching for Post-Basic Nursing Entrance Exam is not driven by a mere profit motive but has a mission cut-out to cater to the career concerns of the aspirants. The academy provides the students with the relevant study material, even books by well-known authors, the interview preparation essentials through a special monthly news bulletin offering updates on the upcoming entrance exams/results/ vacancies, et al, keeping them students updated. *We also provide excerpts of the theme discussions on the previous years’ exam patterns and other updates for the benefit of the candidates.